Even when he worked as an IT professional, Doug Nunnery always knew he wanted to be a business owner. But it was his wife, Ashlen Nunnery, who took the first entrepreneurial step when she bought the Mailboxes Etc. franchise in Orange Park. 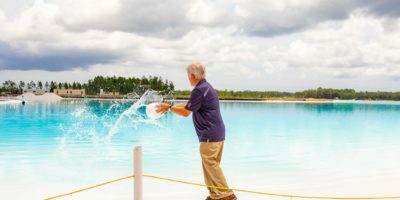 In 1996, she expanded and opened a Fleming Island location before Doug Nunnery took the leap away from corporate life and joined her in 1998. 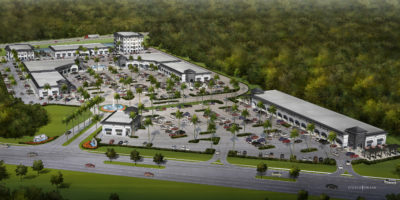 In 2000, Fruit Cove in northwest St. Johns County was beginning its boom and the Publix shopping center at the corner of State Road 13 and Race Track Road opened. Nunnery knew he wanted to open a store there since they lived in the community. They did so and by 2003, Mailboxes Etc., which had been purchased by UPS, rebranded to The UPS Store. The Nunnerys have since sold the original Orange Park location plus a Mandarin location that they owned for a couple of years, since they just wanted to focus on two locations — Ashlen Nunnery works out of the Fleming Island store and Doug Nunnery manages the Julington Creek store. The UPS Store, and Mailboxes Etc. before that, is a franchise that you have purchased. What do you feel are the advantages and disadvantages to being a franchisee? As for advantages, the first would be that you’re in business for yourself but not by yourself. There is a support system in place. Also, national advertising and buying power are advantages, and in the case of The UPS Stores, there is another big advantage: brand. As for disadvantages, I guess the biggest would be compliance, although I have no problem with it. But sometimes it is difficult for entrepreneurs to answer to a corporate office. Also, royalties must be paid to the franchisor, so it costs more to do business. But I think this cost is offset by the buying power I mentioned earlier. What do you like most about doing business in St. Johns County? The community for sure. I live in this community and I feel like we are part of a larger family here. I’ve seen kids grow up, seen people move in and move away — basically a lot of change. It’s good though that some things stay the same and we try to be that constant in the community, without losing our edge. I believe we are in the relationship/service business. People appreciate service and they have options for their business and I don’t take anything for granted. 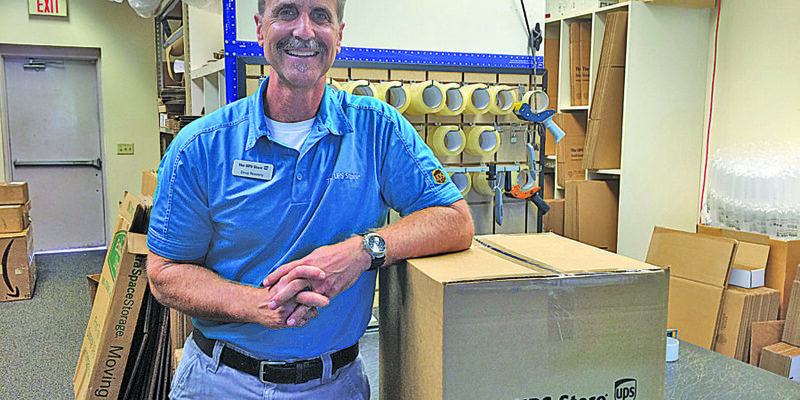 The UPS Stores’ business has evolved from just being a shipping location — although packing and shipping remains our largest single business — to a photocopy location to now a full-fledged printing operation. We now offer a host of services including wide format printing, banners, high end production and direct mail in addition to packing and shipping. But through it all, we try to have a relationship with our retail customers and small business customers. What has been your best business decision since opening? In 2008, when the recession finally caught up with us, we made the decision to do the opposite of what everyone else was doing. We upped our advertising and decided we wanted to be seen everywhere. We offered special pricing one day each week. It really paid off. Working the counter. Our job is to market behind the counter. UPS gets customers in and then we educate them about all the different services we offer. I also spend a lot of time equipping staff. Guiding and managing staff is one of my priorities. Eventually it will be exit strategy/succession planning. I think this is something all small businesses need to consider, especially if they’ve been around for awhile. It’s not something I’m ready to do anytime soon, but it is something to start planning for. Do you have any expansion plans for the future?